UPDATE: Hello dear readers!!! We are so glad you love our chicken coop so much. We did not originally intend to share plans/dimensions/directions when we made this post which is why they’re not included here. We love that you love our coop and love that it has been shared multiple times, sadly it has been shared by sites saying we had all the directions for building the coop which we do not. Please consider this an inspiration post, something to look at to give you an idea of what you can create yourself. So WAY back in March…Josh and I had a talk with the boys and we decided as a family that we would get some chickens. We were all pretty excited about this new adventure and couldn’t wait to get started! At the beginning of April we headed over to IFA to figure out what we would need and how many chickens we wanted. They had a very helpful employee who told us everything we would need to know about taking care of our chickens. Also, lucky for us we had a friend available to answer any questions we might have! Six adorable chicks! Because we are a family of five we decided to get two chickens that are said to lay daily and four chickens that lay 3-4 times a week. We figured that would be plenty of eggs for us! A couple weeks later, IFA did an Easter Egg Hunt. Now being a farm supply store, they don’t give away just candy in their eggs, they also give away…you guessed it CHICKENS! 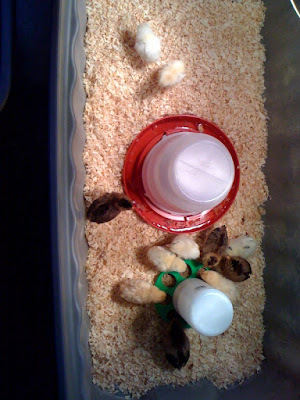 (And bunnies and ducks and turkeys) Jenn’s kids ended up with four leghorn chicks! Another family in our ward decided they didn’t need any extra chickens and gave Jenn’s family another two chicks! Since we were already building a coop for our chicks, we offered to let Jenn’s family’s chicks live with ours. 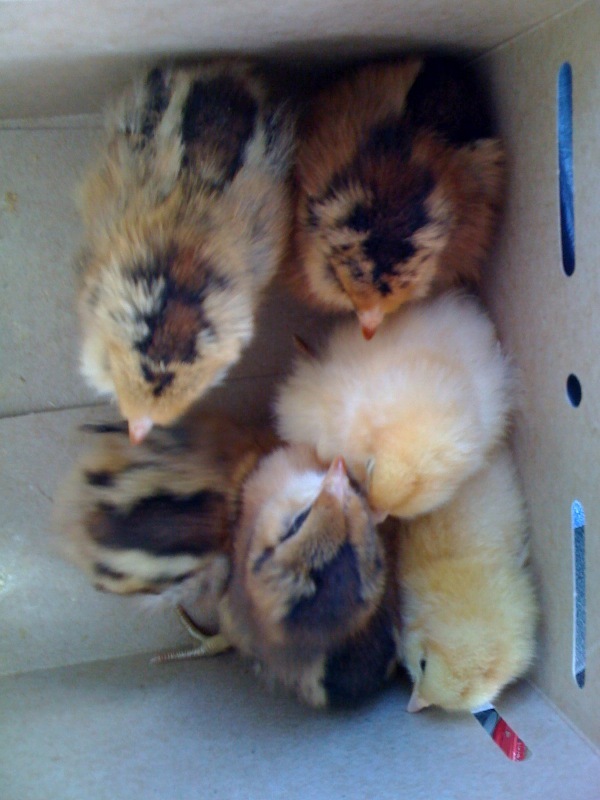 While our chicks were perfectly happy in the garage, in their tote…it quickly got too small for 12 chicks. As soon as they were ready, we transferred them to the backyard to a makeshift coop. I did not take a picture of the makeshift coop because…well it was pretty sad. It served it’s purpose and the chickens loved it but it was not anything you’d want to show off! With that in mind, Josh began the process of building a coop for our chickens. We saw a coop at IFA that we thought looked great! However, it was $600.00. As much as we liked our chickens…we didn’t $600.00 like them! 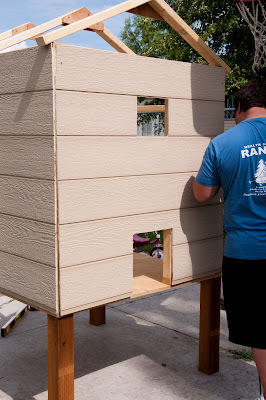 So Josh took a few measurements and we sketched out what we wanted for our chickens, using the IFA coop as inspiration. We took a trip to Lowe’s to price out our materials. We were lucky enough that we had left over wood, Jenn’s family had left over wood and a family a few houses down from us reroofed their house and donated their left over roofing supplies to us! 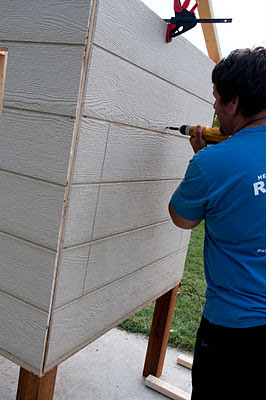 It was our goal to use as many materials as we already had and keep the cost as low as possible! Let me say now…Josh and I have never “built” anything. Really. This was quite an adventure for us (mostly Josh since he did almost all of the work) and I’m so happy with how it all turned out! He started with the base for the coop itself. We wanted to make sure that there was enough clearance for the chickens to use under the coop as part of the chicken run. 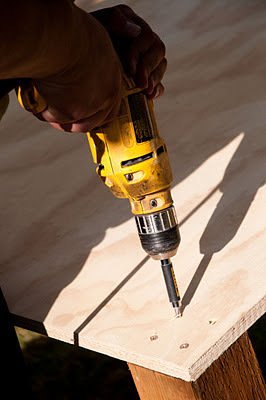 He used four 3″ screws in each post to make sure it was nice and sturdy. 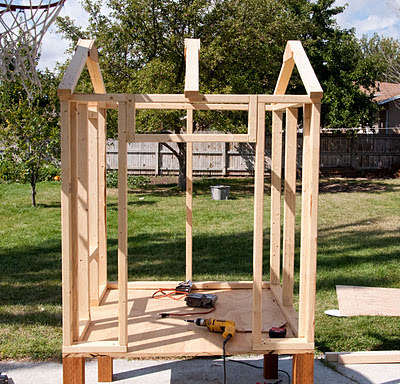 The framing completed from two angles. Putting in the hinged door for collecting eggs. A few angles of the walls all up and the plywood for the roof up. 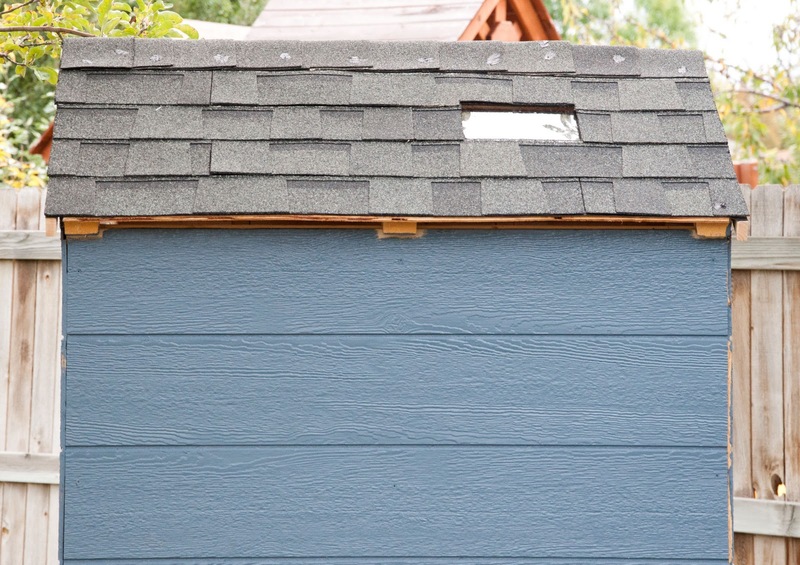 As you can see, our coop has skylights…that’s how we roll. 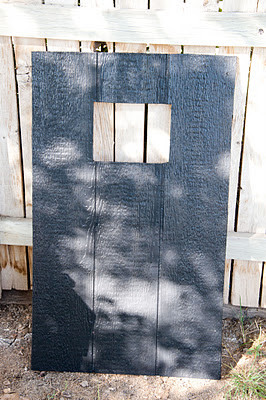 For the door we chose Valspar’s Kettle Black. It has blue undertones so it goes really well with the Royal Gray. The roof complete with the windows in. 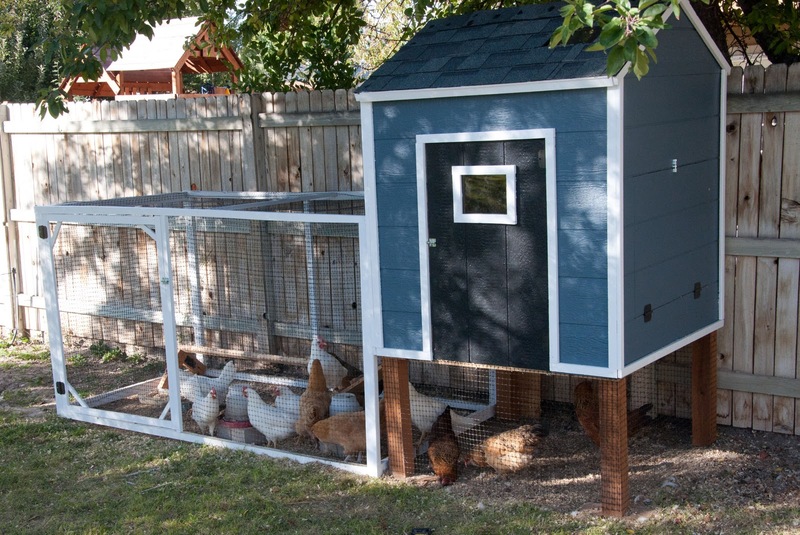 I’ve seen lots of super cute chicken coops with real glass windows. It was less expensive ($1.29 a pane) to just use plexiglass. And it worked perfectly! The chicken coop with the final coat of paint, windows/hardware on and trim put up. The Roosting bar inside the chicken coop. 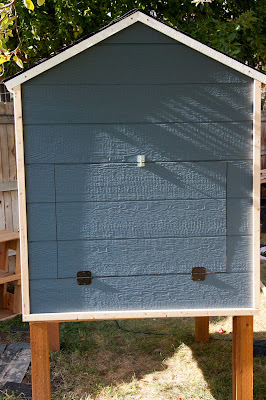 Trim all painted and mesh put around the bottom of the coop. The nesting boxes. The only thing I didn’t get a picture of was the peel and stick tiles that we put on the bottom of the coop. They were only $0.02 a tile! I think we ended up using about 14 tiles. The finished chicken coop with the happy chickens inside! Another angle. After the chicken coop itself was completed. Josh used 2 x 2’s and 2 x 3’s to build the frame for the yard and another, outdoor roosting bar. We also added in the ramp for the chickens to get into the coop. I’m super proud of Josh for all of his hard work and I’m really excited for how amazing it turned out!! 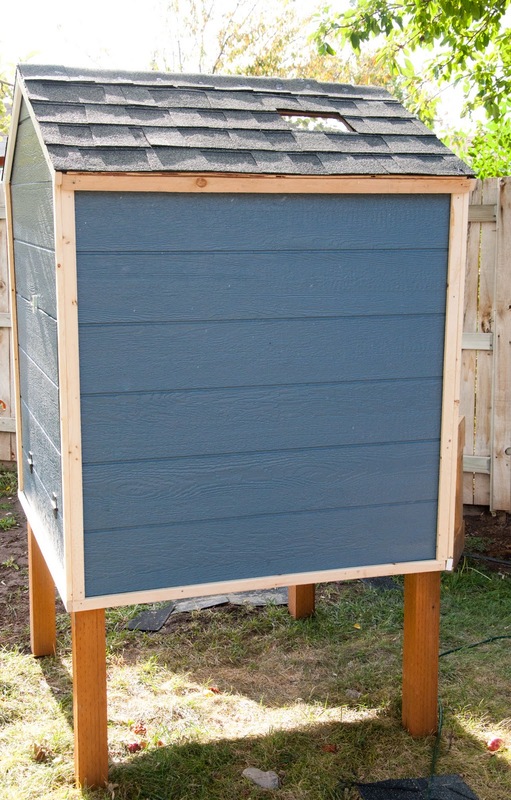 Our total cost for the entire coop…every last nail, hinge, can of paint, everything was about $290.00. 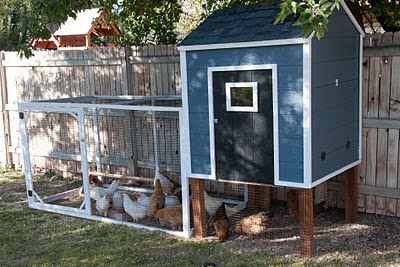 And the best part is the chicken coop and run are significantly bigger than the one at IFA. 🙂 So HUGE round of applause for Josh and the chicken coop! « Pumpkin Pictures – stomach flu has struck! I love this! 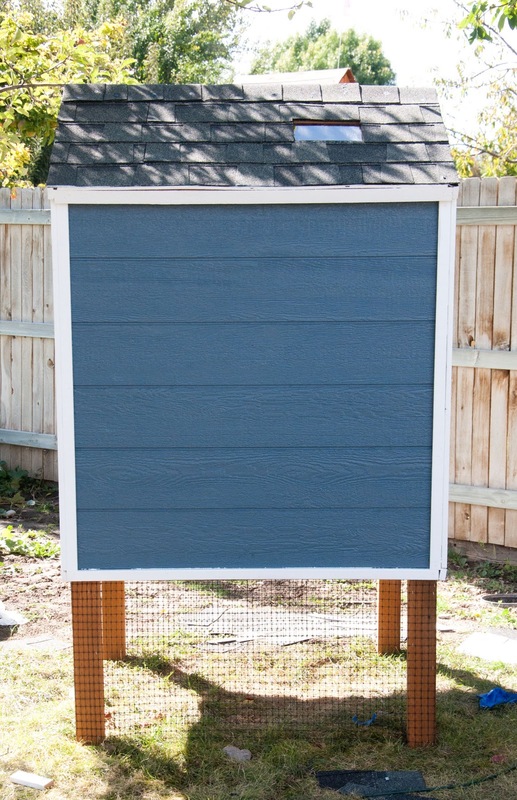 I want chickens so badly but I live in a neighborhood with close yards/fences/neighbors…not sure if it would work? how fun! What a great looking coop! Saw this over at Uncommon Slice’s party and had to come by… i love chickens! 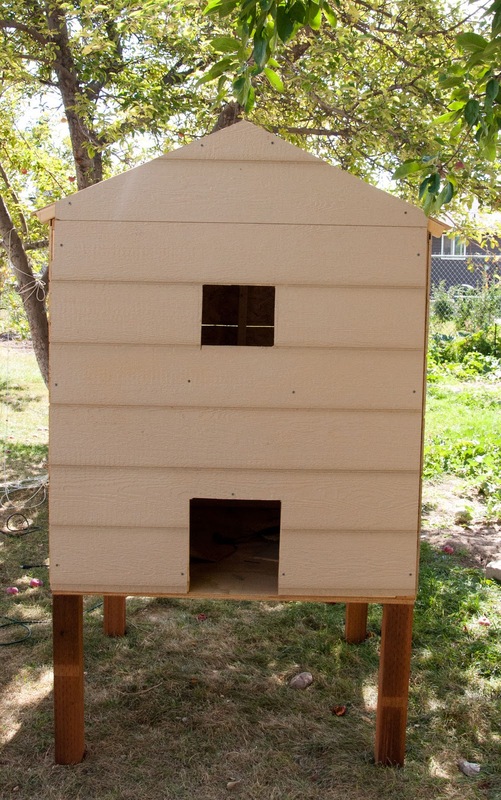 Your coop is really cute and looks like a great home for the girls. 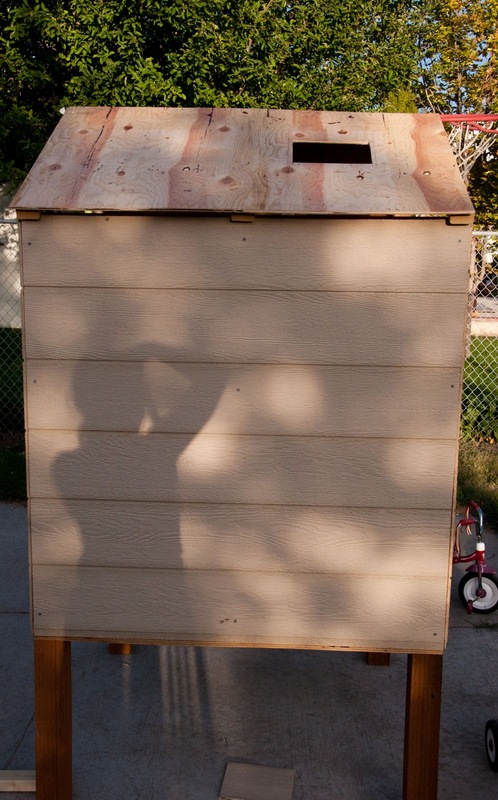 That is an adorable coop! I am planning to get some pullets in the spring so I need to get working on the yard and the coop…thanks for the inspiration. Thanks Christine! 🙂 It was fun to do! These are great coop plans! I’ve been thinking about getting chickens. I have the space for them, and now I’ve got coop plans! Good luck with your layers. I love this project!! 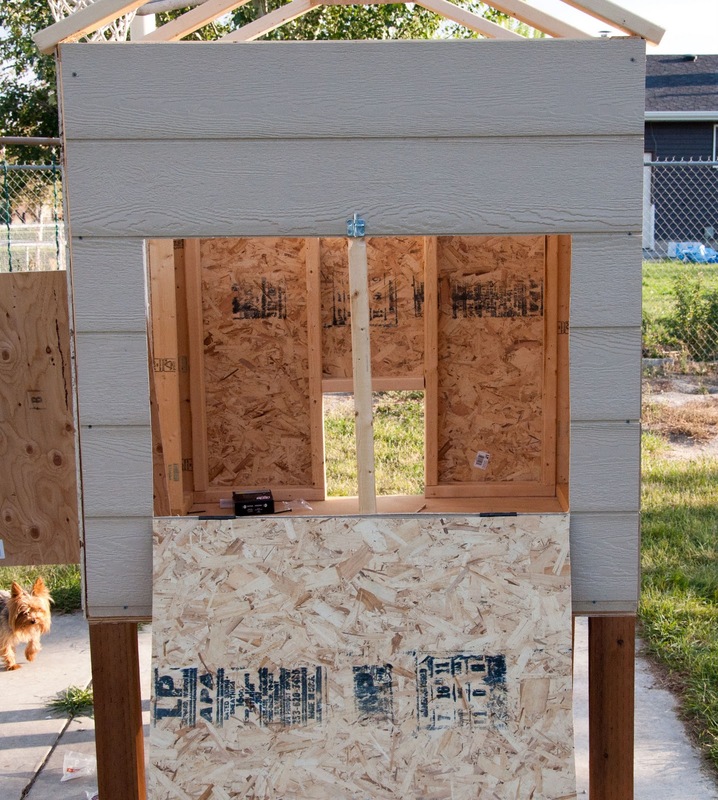 We would be kicked out of the neighborhood if we did this… but if I ever move someplace without a Nazi HOA, I would totally do this project!!! That is the CUTEST chicken coop I have ever seen! I want one! I am featuring this at somedaycrafts.blogspot.com. Grab my “featured” button. I want a chicken coop!! I need to do a lot more research…Like, how do you know which eggs are un-fertilized , edible eggs and baby chicken eggs. Maybe that’s a really ridiculous thing not to know? Eggs are only fertilized if you have a rooster. So only get hens and then you don’t have to worry about it! Thanks for the feature Someday Crafts!! I’m really excited! Thank you! This is so cute! My hubby and I have been talking about getting some chicken. With three hungry boys in my house, I imagine it could save us a ton of money! I’m pinning this so I can show him later:) Thanks so much for sharing all the great details! Thanks Kelli! 🙂 Chickens are LOTS of fun! We have two chickens we got for free, but no eggs yet. Will get some more come March. Thank you Mrs T, I think your coop looks great! WOW this is impressive! This just so happened to be the Reader’s Choice on Sew Woodsy today! Thanks Katie! I didn’t know it was Reader’s Choice! That is awesome!!! I love chickens!! Our town councilman said chickens cause pandemonium, so he bans them. HA! Your coop looks way better than my coop, but we also made ours too. Love it!! Thanks Nancy! Pandemonium? Really? LOL! I’d love to see pics of your coop! Hi Paula, my daughter sent me the info on your coop. I just got my own 4 chucks today and I’m SO disappointed at how tiny the 5-bird coop seems, now the birds are in it. 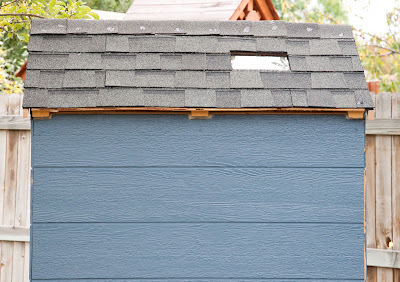 I just wanted to ask, I’ve been told that roofing felt encourages mites, had you heard that? I’m certain I put a comment about how superb your coop looks, but it hasn’t shown – so here it is – your coop looks great! What are the dimensions of your coop? I think we are going to make something similar in the spring and I’m gathering ideas for my husband, who’s the master carpenter. 🙂 Thanks! Hi Erin, sorry it’s taken me so long to respond!! My husband will be getting measurements and a general supply list this weekend so I can get you all of that if you are still looking for information/ideas. 🙂 Thanks!! Hi Paula! Love your coop and would love to get the details! I’m completely in love with this chicken coop!! If you could, cold you please e-mail me the supply list? and perhaps dimensions if you’re able! 🙂 my e-mail is dalzis@gmail.com Thanks so much! Would you mind forwarding me plans? What do you do in the winter to keep the chickens warm? This coop seems practical and user friendly. My husband is going to build this for me. I will send you photos when we are finished. Thanks for sharing your great idea! Hello, first I want to say your coop looks great! Found it on pinterest and followed the link. I am about ready to build one of my own but I had one question. 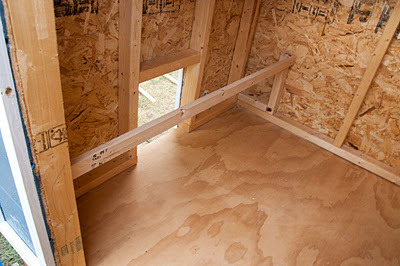 The raised floor is great and I think I want to do that with mine also. How is the stability? I feel like it might wobble or shift just being nailed into 4 posts like that. It doesn’t look like the posts are sunken and from your pictures I don’t feel like you added any crossbars or anything for support. Obviously it’s holding up well when the gurls are in it but if you were to bump it (or if my rowdy kids were to bump it I should say…) I worry that it would shift… Anyway, please let me know because I love your design and definitely want to copy-paste into my own yard! Thanks for posting!! This is Josh, Paula’s husband and she felt that I may be able to address your question a little better. Thank you for coming to the blog and commenting on the coop. The raised floor is a definite plus. I wondered on stability myself but after all the materials were added the coop was much heavier than expected(it took 4 guys to maneuver it in place)and the our boys did use it as a club house until the chicken were moved into it. I used 4 – 3in screws in each post and have had the unfortunate opportunity to watch the balance and stability of the coop tested by our 120lb Newfoundland trying to get to the chickens. As well as the seasonal wind storms we experience in UT and it has held up well. However, in hindsight I do feel some cross bracing would benefit the stability of the legs in the long run. I would love to see your finished product and any enhancements you make to the plans as it can be fun to have some creative liberties(that’s where we got the idea for skylights)as there are so many designs and ideas out there. Have fun with the experience. I really like the coop that you have designed. I am in need of a coop in the worst way..our chicks are growing fast. I was wondering if you wouldn’t mind sharing the list of materials that you used, along with the dimensions. I have tried many ways to design my coop, looking at plans, and looking at premade coops, and they all come out expensive. If you would not mind, could you please share this information? I would be so thankful. Thank you. 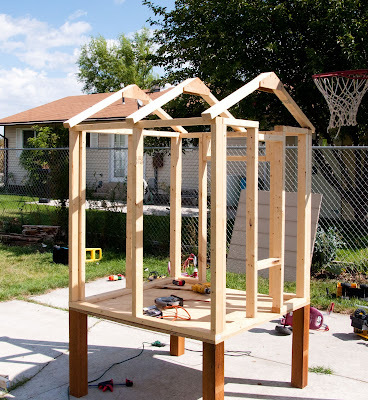 My wife has decided that she wants me to build a coop like yours for her. 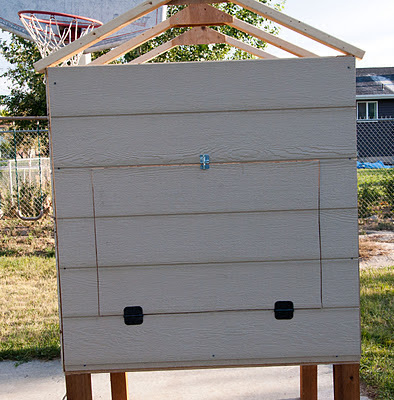 I have a few questions as to the dimensions of the coop and run. 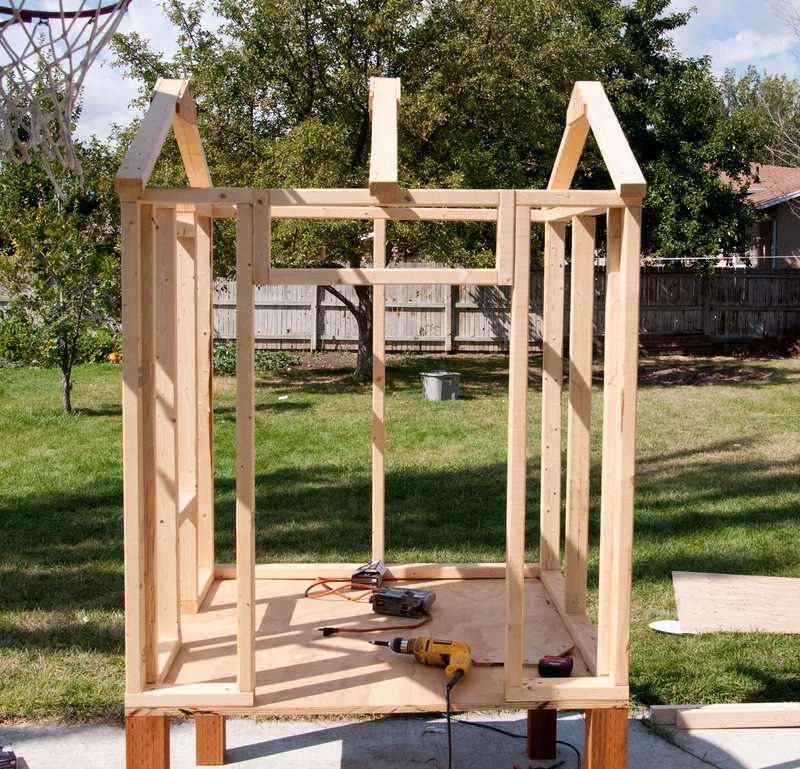 Also did you use 2×3 or 2×4 lumber for the framing and trusses of the coop? And finally what size wire did you use for the run. It would be much appreciated if you could email me this info. The article presented here is very effective and of high quality. I hope you continue to write us a quality content like this story and I personally always’ll follow articles and this amazing site. I just discovered your site and this amazing chicken coop. 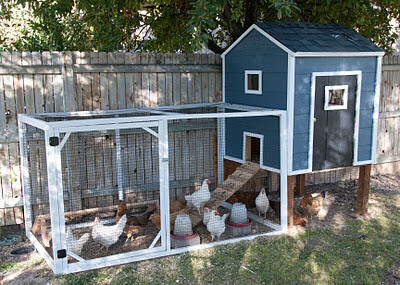 I need to convince my husband to build me one this winter so we can be ready for chickens in the spring. Can you post or email me dimensions/supply list? Thanks a ton! 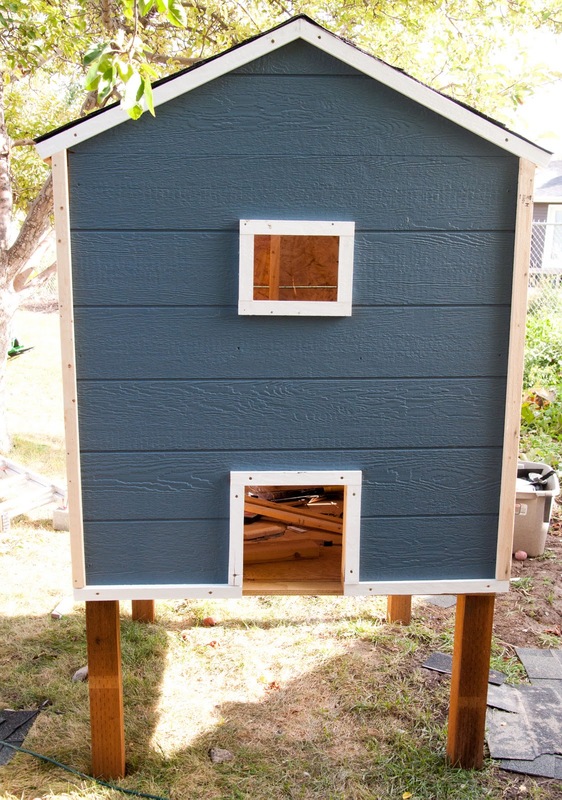 I would like read to a chicken coop for plan ! ! I want to do much more analysis . . .Like , how can you know which eggs are un-fertilized ,cattle panels edible eggs and also infant chicken breast eggs . It is likely that’s a really outrageous factor never to have knowledge ..
Did you ever come up with a materials list? If so I would love to get a copy of it. Thank you for posting this. I am excited to duplicate it! Could you be so kind and send me the materials and detentions of your chicken coop!!! Love it I’m a city girl and just got six chicks for me and the GRANDKIDS to enjoy and I fell in love with yours!!! Great job to your husband…. I love this coop!! I’ve seen lots of requests for dimensions and instructions. Do you have a list put together you could send me? camber_lybbert@yahoo.com Unless you’d like to build another one for us to buy. 😉 We’re in Draper. 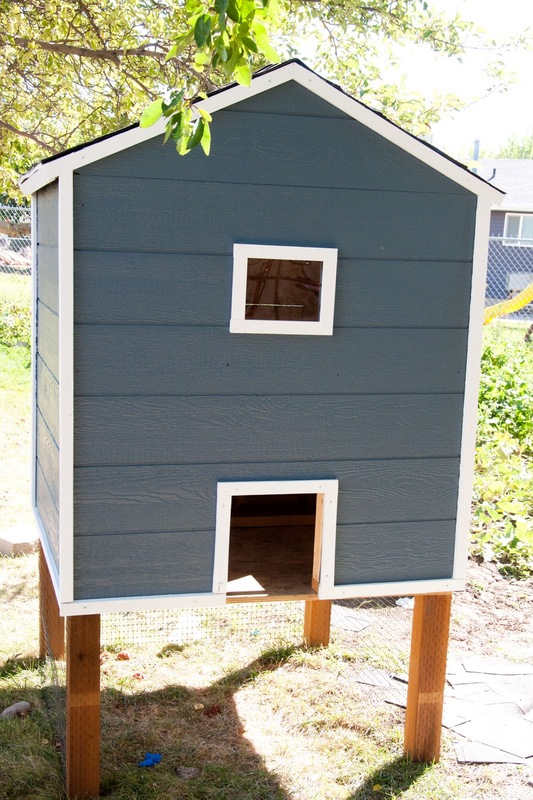 I LOVE the design of your coop! 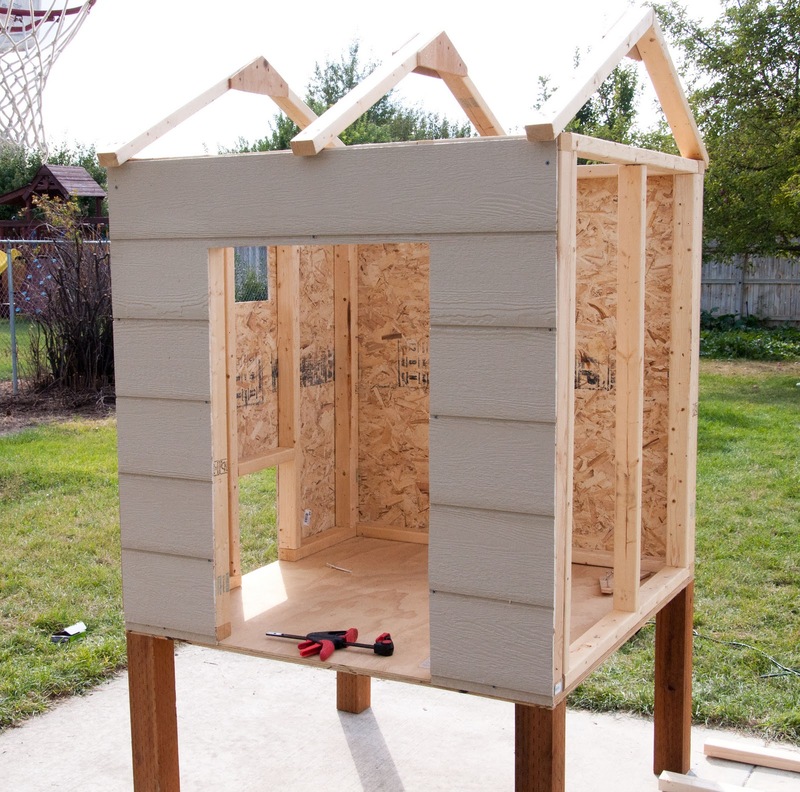 My hubby and I are planning on building one using your design. Can you pretty please send me the supply list and dimensions as well? Thanks so much for sharing, your hubby did an amazing job!! Love your chicken coop! I would also like a supply list and instructions if you have them put together. Please email me. Love your coup!! I am planing on have chicks next spring. Do you have the list available yet> How ,any chickens can you keep in this size coup. Thanks for your great blog. 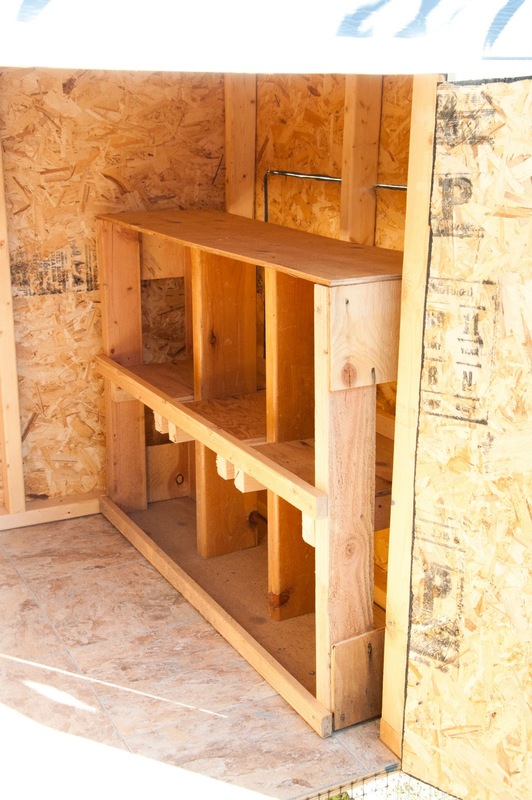 We are in the process of building a coop similar to this and am wondering if you have a materials list at all? 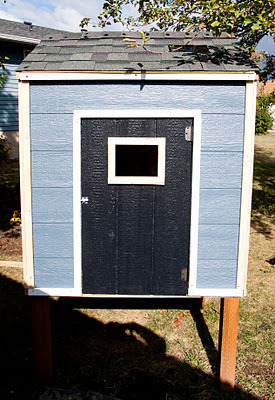 If so would you be able to email it to me @ jessicadepass@gmail.com Also did you insulate your coop at all? 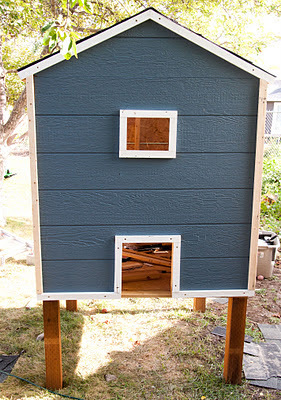 I was on Pinterest and saw you cute chicken coop. I see others have ask same questions, I did not see reply. What do you do for the chickens in winter. Did you put insulation. Can you email me the plans. I’ve seen lots of people ask for the dimensions and supply list, but I haven’t seen anyone acknowledge that they ever received them. I plan to build this for my girlfriend for Christmas, so I was wondering if I could get them as well. Not sure if the list was every put together though. We’d like to hold 3-4 small chickens for eggs. Is you coop for the winter too? 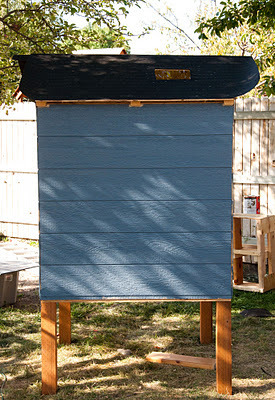 please send me material list and instructions for this awesome chicken coop! I love your coop! Could you email me your name plans? My family and I would like to make our own coop and yours looks perfect. Can you send me the materials list and plans too please? How big is the actual coop? 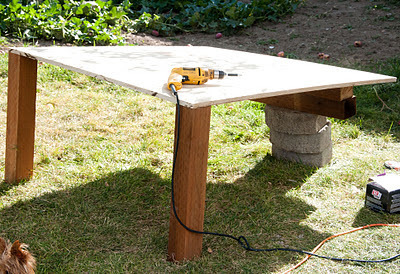 Questionnnnnnnnn, planning on building this. Do you by any chance have a materials list for this? 1- I didn’t add the sun roof thing. I’m in Florida and it gets crazy hot here, that seemed like it would only make the coop hotter. 2 – For all the windows, I simply covered with chicken wire to improve ventilation. 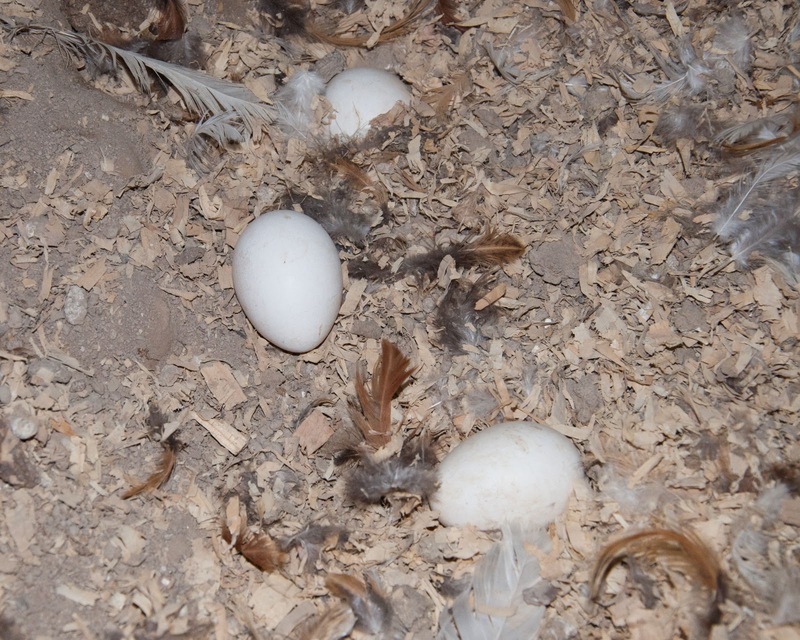 3 – After few weeks of using the coop, the coop still wasn’t ventilating very well. 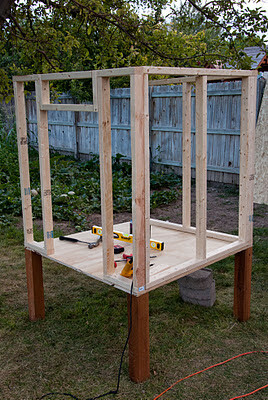 I cut the whole top corner of the a-frame out on one side (above the chicken boxes) and covered it with chicken wire. This improved ventilation tremendously! 4- I added flower beds around the sides to help prevent animals from digging under. Again, I learned a lot doing this, and a few things I wish I had done slightly differently while building it. I’d be happy to share my experiences with anyone wanting to build this coop. Upset I can’t show you guys my pictures! And by “over a month”, I meant to say, “For MONTHS”. I finished this back in January. Our chickens are already laying!!! Out of all the coops I’ve looked at, this is my favorite! 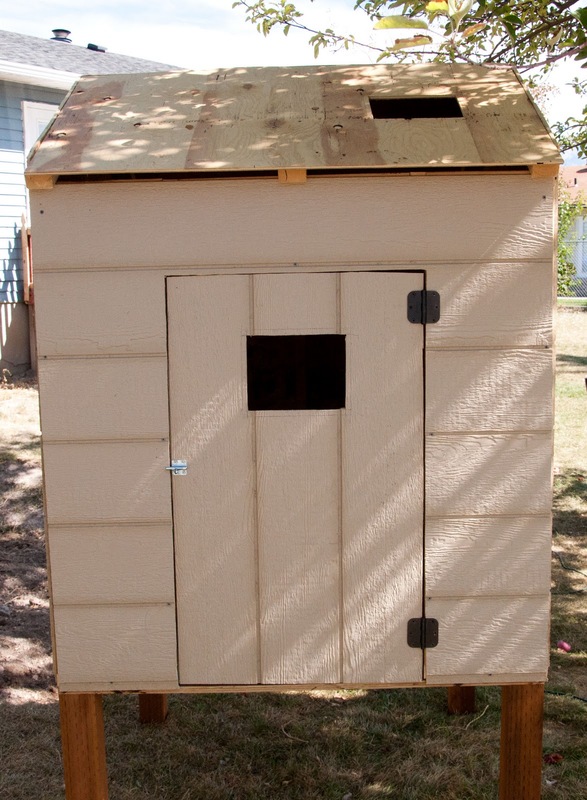 In fact, we are starting today to build our own coop based on this one. Do you mind if I link to you on my (very new with zero readers, lol) blog? Hello yall, is there any supply list? Have I missed it? I love this coop! Simple and easy! Adorable!!! Also found searching… love your design and plan to build. I know your post is old but if available, can you still send specs and materials? My 4 chickie girls will thank you! !